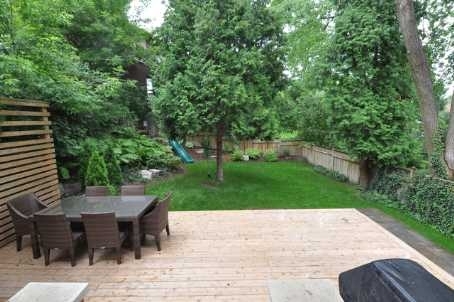 Glorious Davisville Village 4 Bedroom Custom Finish Home! Beautifully Appointed With 10 Feet Ceilings On The Main Floor, Marble Counters In Kitchen & Baths, Fabulous Kitchen/Family Room With French Doors To Professionally Landscaped & Private Garden. Extras Include 2nd Floor Laundry Room, Side Door & Access From Built-In Garage To Mudroom Area & Full Capacity For Live-In Nanny. Your Friends Won't Believe Your Luck In Finding This Phenomenal Home!